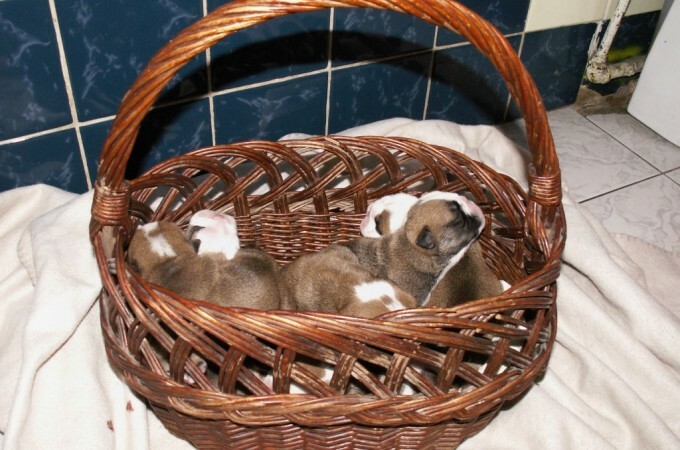 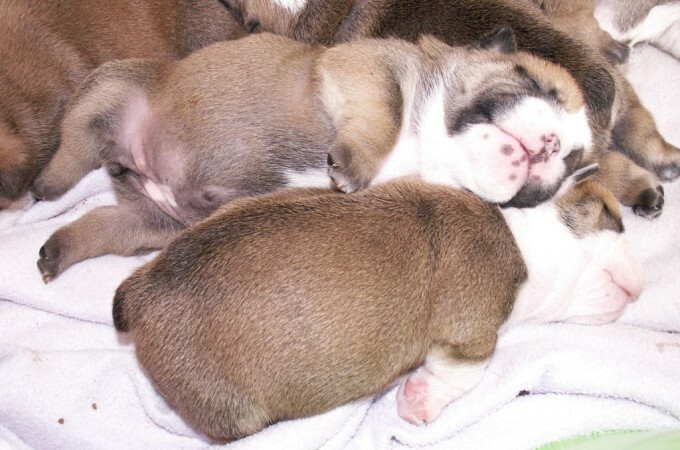 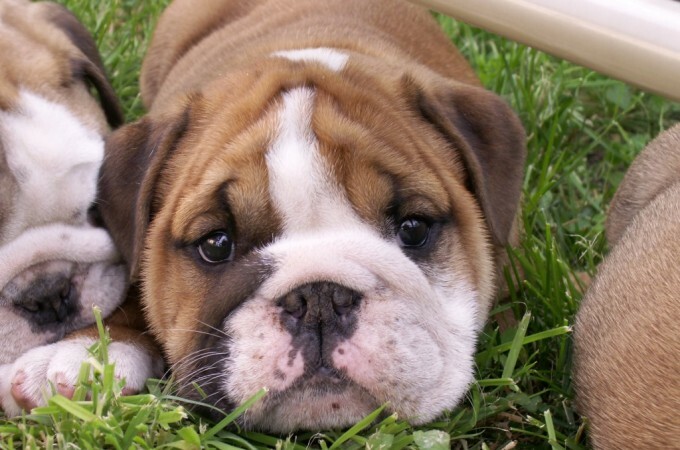 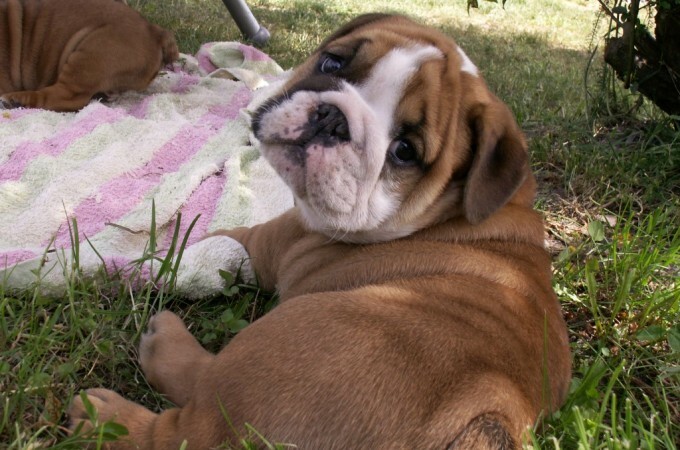 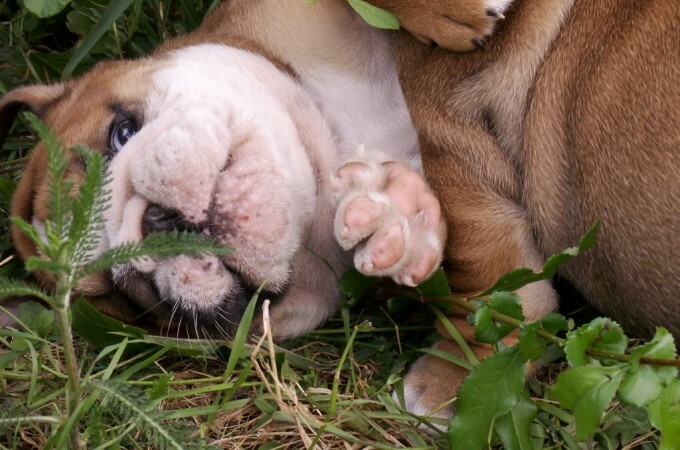 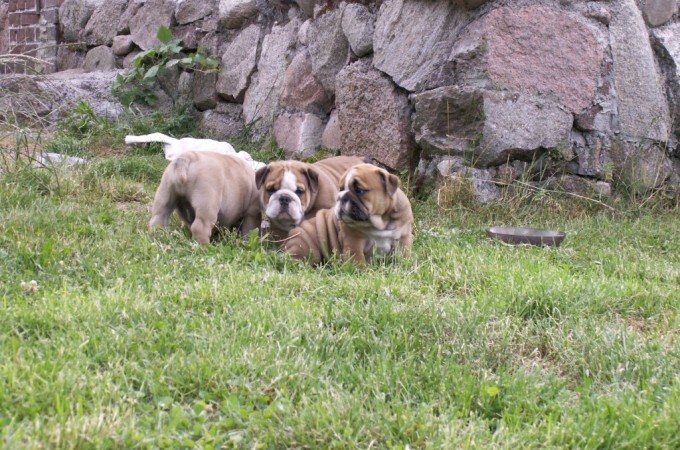 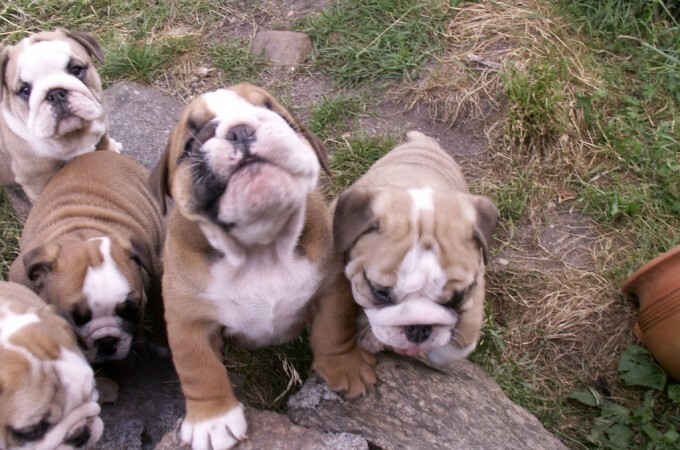 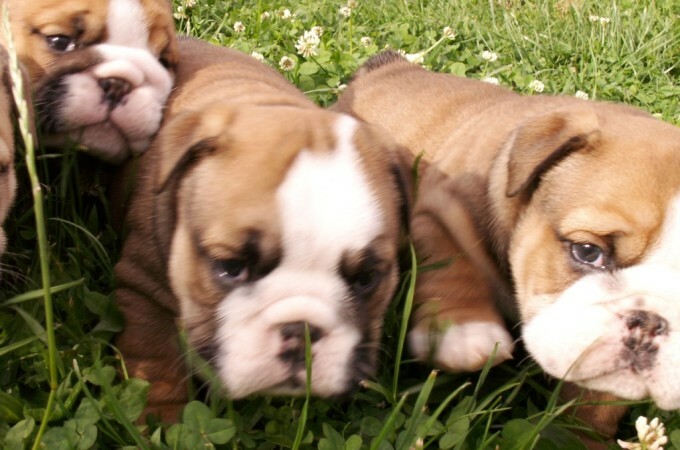 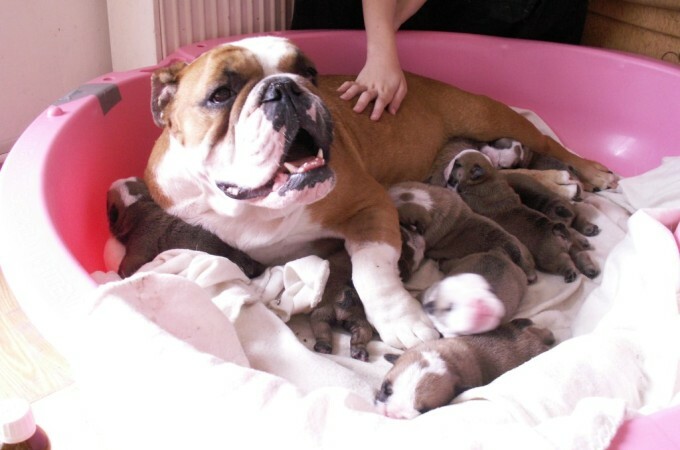 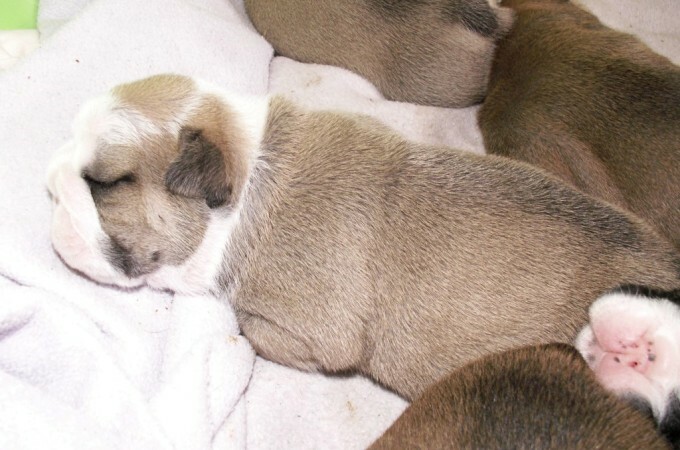 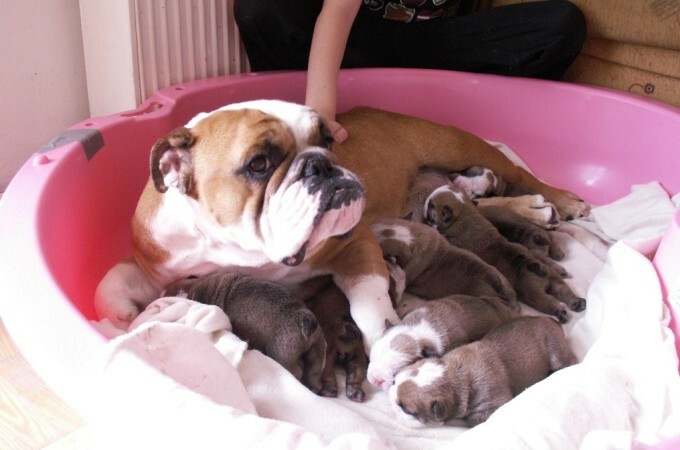 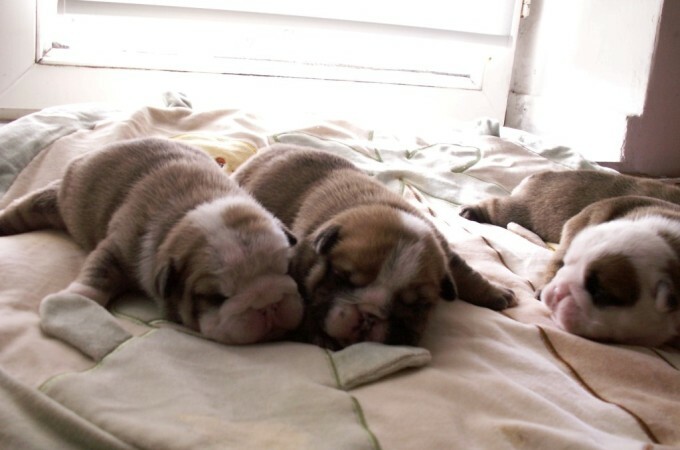 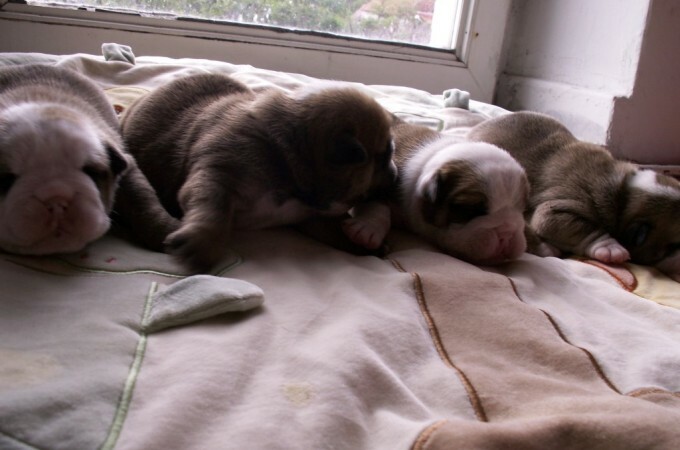 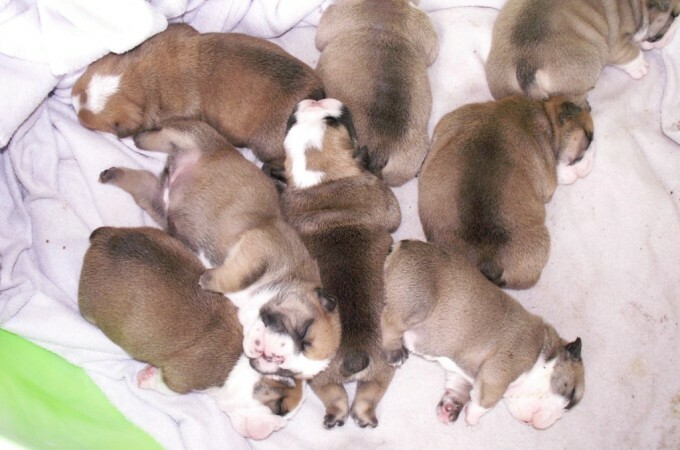 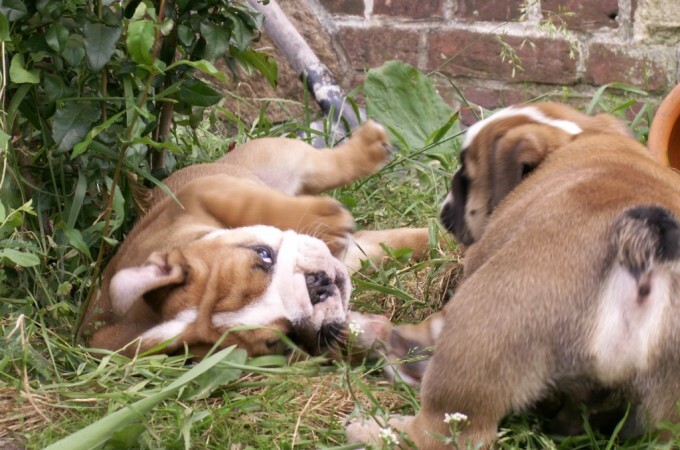 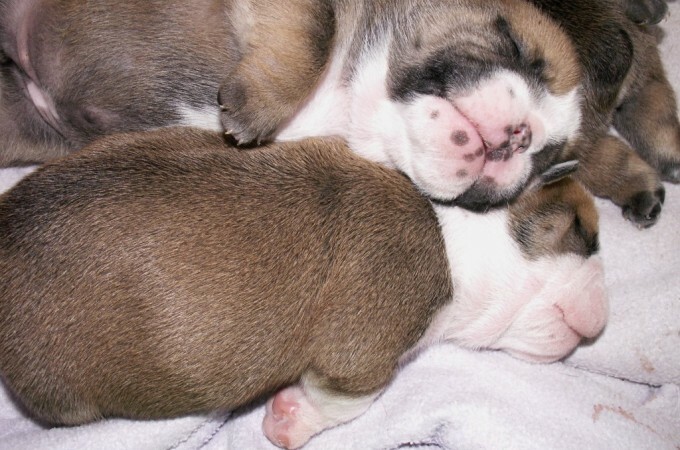 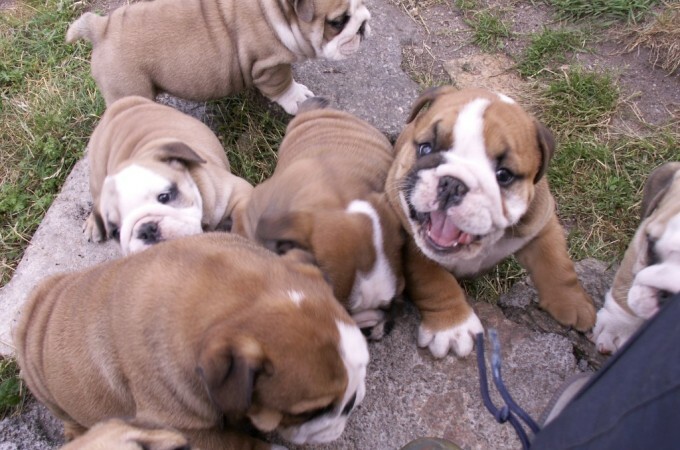 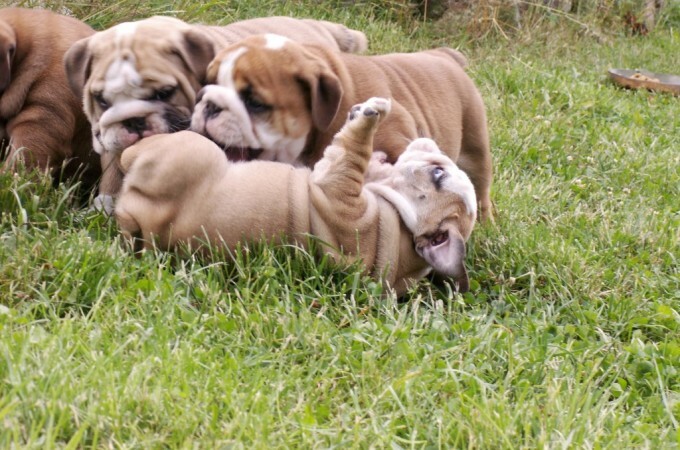 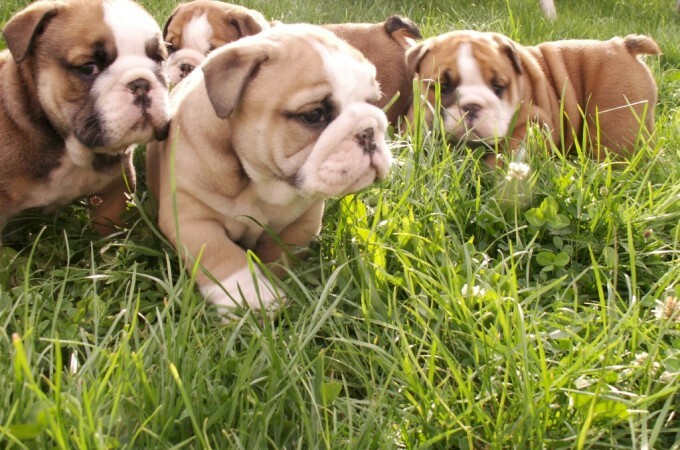 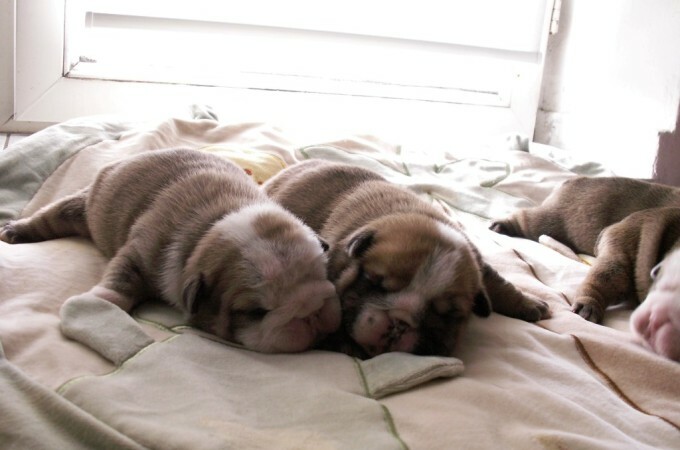 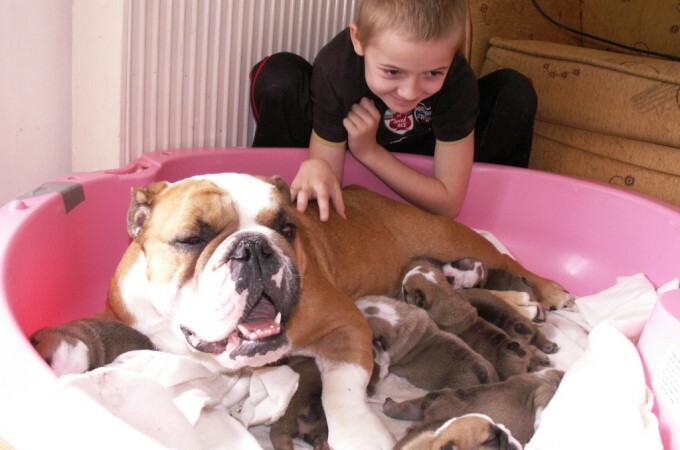 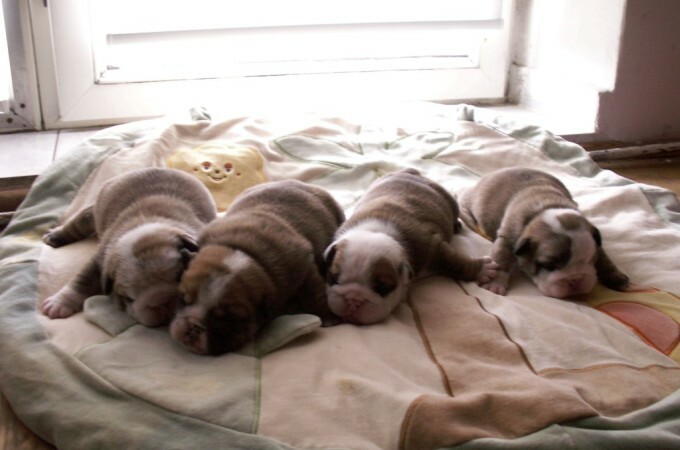 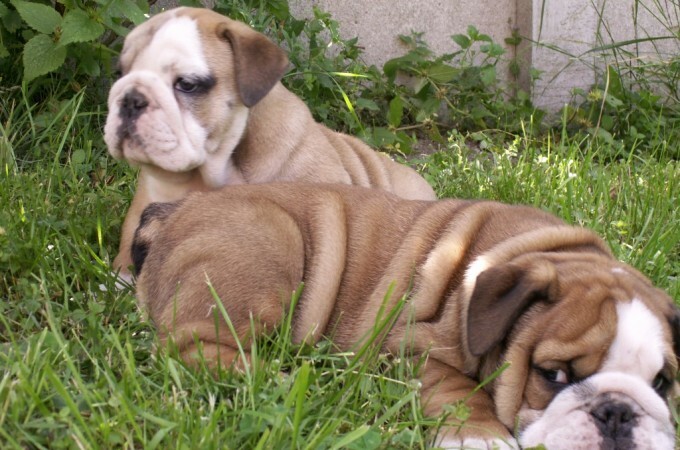 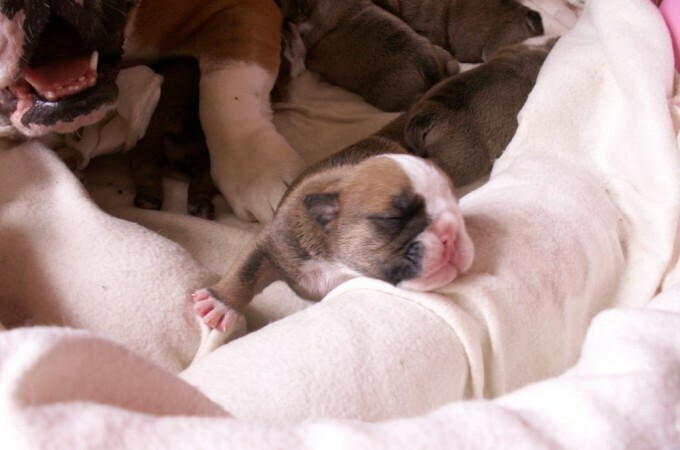 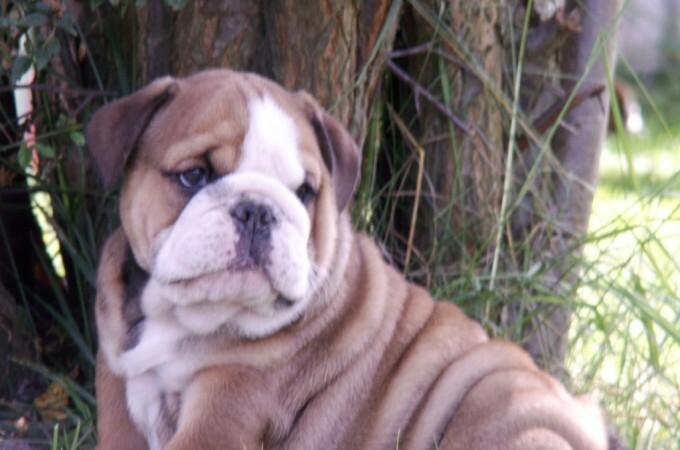 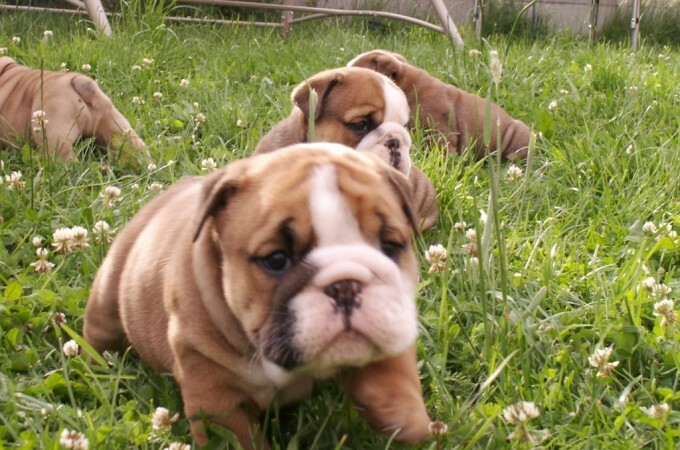 Our seventh ”World of Bullcraft” Litter were Bulldog Puppies from our female Claudia of World of Bullcraft. 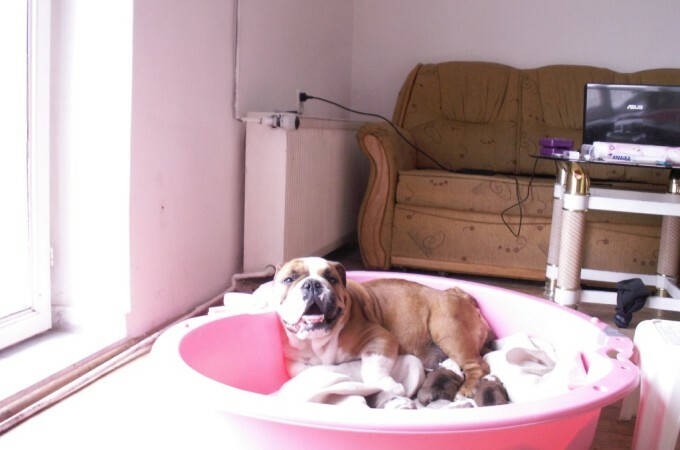 The nest is sired by Impressive Bull Jetred. 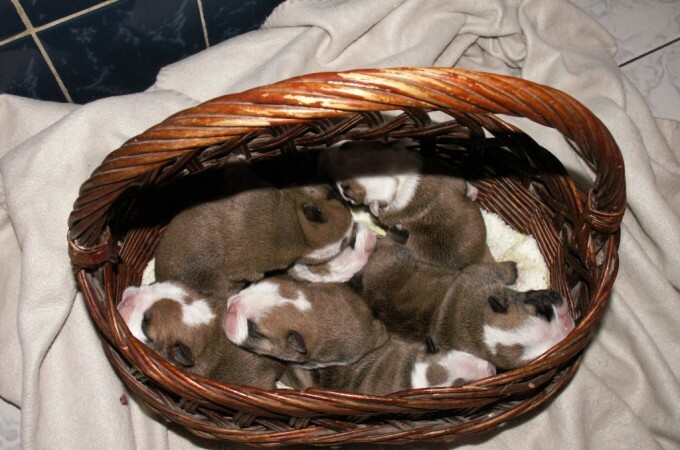 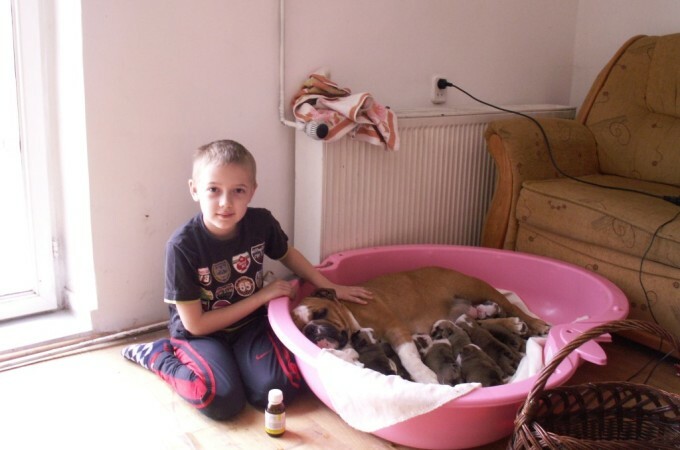 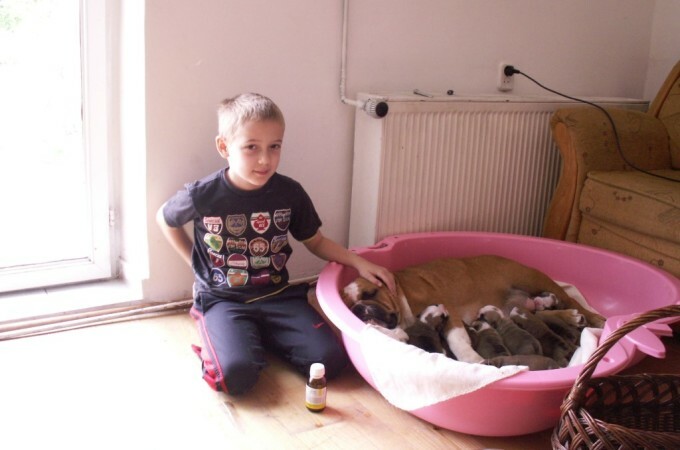 4 females and 4 males were born on 30-04-2013 trough C-section by our veterinarian in Lubsko (Poland). 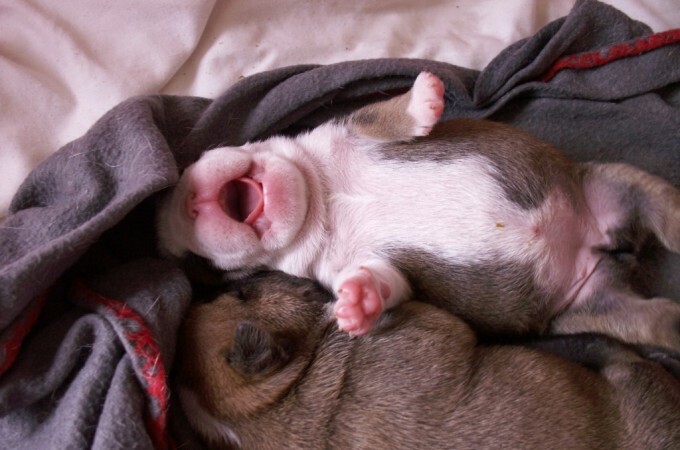 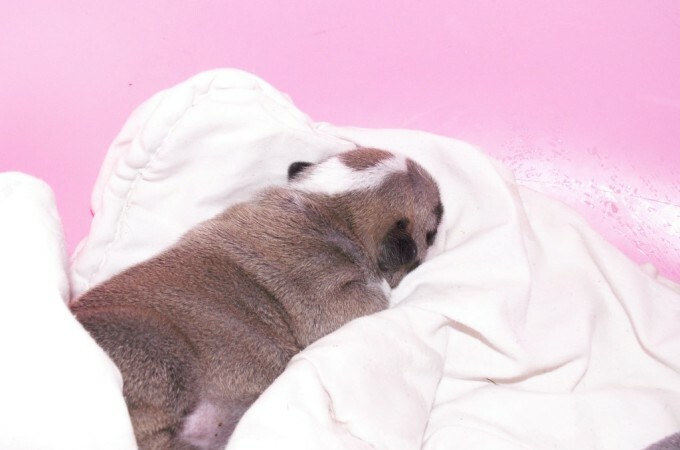 Everything is going well with the pups. 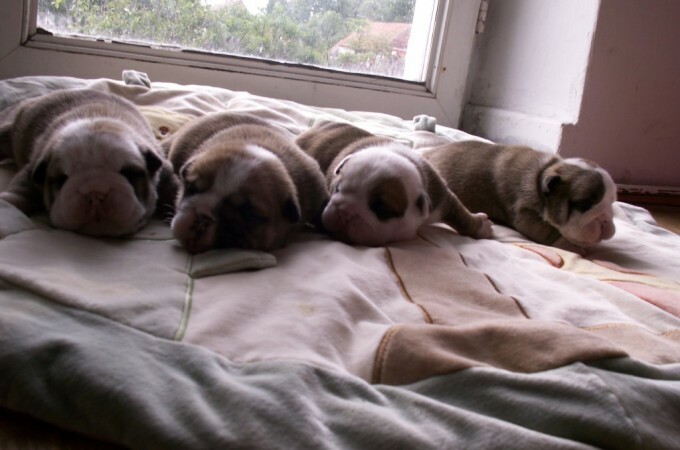 Each pup will have his or her own page with photo’s of themselves. 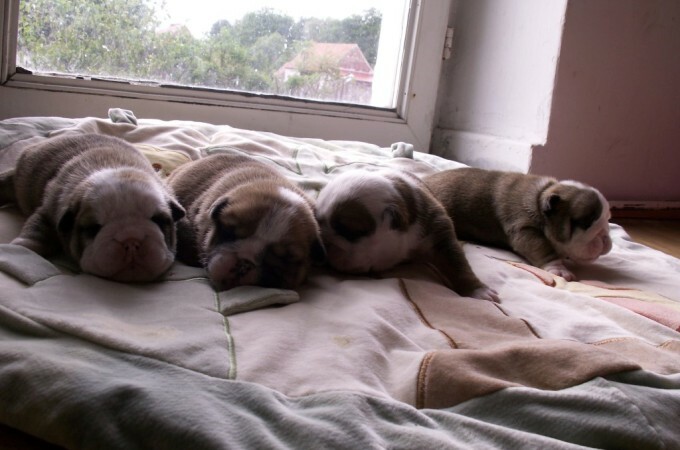 You can click on the names below to go to their own homepage (when available).